JANUARY 25, 2019 - CAPE CANAVERAL, Fla. (AP) — The space snowman visited by NASA on New Year's Day is pitted all over and has a bright "collar" between its two fused spheres. This Tuesday, Jan. 1, 2019 image made available by NASA on Thursday, Jan. 24 shows the Kuiper belt object Ultima Thule, about 1 billion miles beyond Pluto, encountered by the New Horizons spacecraft. It will take almost two years for New Horizons to transmit all the data from the flyby, 4 billion miles (6.4 billion kilometers) away.NASA/Johns Hopkins University Applied Physics Laboratory/Southwest Research Institute via APThese are the newest details to emerge about Ultima Thule, the most distant object ever explored. A close-up picture taken by NASA's New Horizons spacecraft right before closest approach on Jan. 1, and released Thursday, shows lots of little pits on Ultima Thule. They're less than a half-mile (0.7 kilometers) across. There's also a much bigger, circular depression on the smaller lobe, considered the snowman's head. Scientists don't know if these are impact craters or sinkholes. Launched in 2006, the spacecraft became the first visitor to the dwarf planet Pluto in 2015. 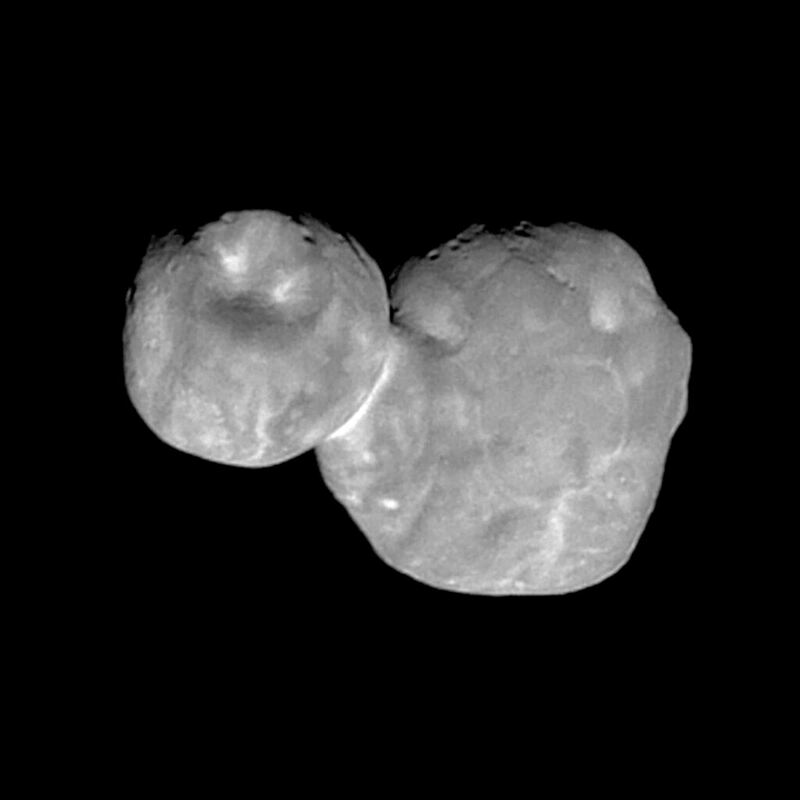 Ultima Thule was its second target. A third destination — even deeper inside the so-called Kuiper Belt on the frozen fringes of our solar system — could be possible in the 2020s.